For your content to have value, it has to be found. For your content to be found, it has to be optimized. For your content to be optimized, you need the right tools. Technically, this is less a tool and more an indispensable part of any content marketing strategy. Mapping out what content you'll create, when and where you'll share it, and what the desired response is, allows you to maximize the potential of each piece. This includes optimizing for search engines. You can decide, in advance, how you'd like it aggregated and which keywords to target. Better planning = better content. Developing a strong social media strategy is essential to improving your SEO. How often your content is shared or engaged with on social media platforms, like Twitter, can determine how Google ranks it. Ultimately, search engines want to direct people to credible sources. Having a significant social influence can help establish that credibility and help your site and content climb the rankings. MOZ offers a wide variety of software for managing Inbound Marketing content and boosting SEO. Moz Pro focuses on search marketing - giving you both research and analytics tools to make guided decisions on optimzing your website and content. Moz Local offers businesses consistently accurate listings across the internet, so they can be found more easily. It also helps localized businesses see better results in mobile and local searches. Moz Content is exactly what it sounds like: targeted content management and analytics to direct your output. Followerwonk is Twitter-specific and helps users make connections and grow their social presence. Using any of the tools under the Moz umbrella can help your content marketing and simplify SEO. Yoast deals in the 'Art and Science of Website Optimization' according to its site. Yoast's focus is on developing plugins for WordPress, the most commonly used CMS. Plugins include: Yoast SEO for WordPress, Yoast SEO for Drupal, and Google Analytics by Yoast. For specific needs, you can also get Video SEO for WordPress, Local SEO, News SEO, and Yoast WooCommerce SEO. No matter your need, Yoast can equip your site with SEO tools that make the process easy. Whatever you'd like to rank for, Yoast's plugins can help. Full disclosure: we're a HubSpot partner. And we love it. HubSpot manages content, sales leads, SEO tools, social media, and more all-in-one. It's incredibly powerful and offers numerous data dashboards that give a clear picture of your content's performance. There are also built-in mechanisms that help nurture leads generated from content through the buyer's journey. For content creation and social media, HubSpot has an 'optimize' button that walks you through the SEO process and helps teach best practices as you go. HubSpot not only helps your content get found, it helps with every step before and after, too. HubSpot helps companies embrace Inbound Marketing and sets them up for successful campaigns. Google tools, in general, can lend a lot of insight into how to improve your content's SEO. By comparing search terms and seeing which long tail keywords are performing the best, you can tailor your content to match. Knowing which topics are the most searched can point you in the direction of what your content should cover. As you include more popular search terms and topics into your content, your SEO will improve in a hurry. 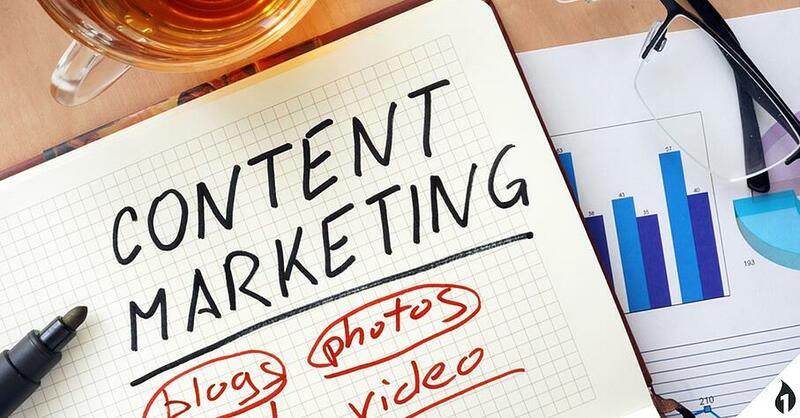 No matter what content marketing tools look like they fit best, make sure that you have a plan for improving your SEO. Remember, a site (or content) that can't be found is barely there at all.